Fifteen years ago I walked out of a movie that overjoyed me in a way that very few movies have. I felt I had heard a unique cinematic voice, one that I would follow wherever that writer/director went. 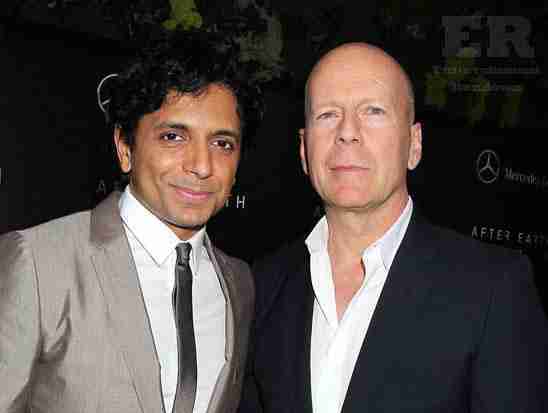 That film was The Sixth Sense and the writer/director was M. Night Shyamalan. Sadly, things didn’t quite pan out the way I expected. His next films (Unbreakable, Signs and The Village) were great but Lady In The Water worked on some levels and sank in others. I thought The Happening was terrible in every way and there’s nothing about The Last Airbender or After Earth that excites me enough to even watch them. Having said all that – I’m energized by the prospect of Labor of Love, his next film, which will see him reunite with Bruce Willis, the star of The Sixth Sense and Unbreakable. Ironically, this is something of a Labor of Love for the writer/director – it’s one of the first films he ever sold, back in 1993 and apparently he’s been itching to get it made for years. This could be s creative last stand for Shyamalan – he’s become something of a Hollywood joke, and it’s sad to see that happen to a man with so much talent. He did sterling stuff with Willis on The Sixth Sense (possibly getting his finest performance) and I hope this one is great. Really great. Is Sylvester Stallone Back For THE EXPENDABLES 4?